The weather has been pretty rough in the north, but racing is already starting up in the southern climates. We are jealous, to say the least. 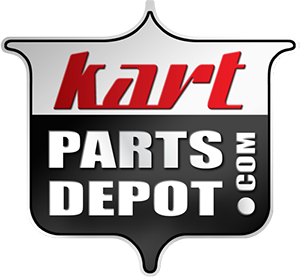 Even if we cannot start racing yet, it is a good time to look at our karts for off-season maintenance. Scouring the web, there are a number of pretty good checklists for what needs to be done regularly, though experienced karters probably have lists of their own. All of these items are in addition to the normal things you would do between races to make sure your kart is in peak condition. The off-season is a good time to remove body kits and bumpers and inspect for damage. If there is anything too bad to repair, this will give you time to replace them. Remove wheels and tires to look for bent rims. Next, remove the rear axle and clean and check the axle bearings. Check brake rotors and calipers for cracks. Clean brake pads. Remove the brake master cylinder and brake lines. Replace parts that old or visibly worn. Check the hub and sprockets and replace any bent sprockets. Finally, inspect the chassis for any defects or wear. Make sure the seat mounts and bumper mounts are tight. Look carefully around the engine mount area for any cracks. Repair any defects and then clean or repaint the chassis. As you reassemble your kart, check for bent or cross-threaded bolts and torque them to correct specs. Performing off-season maintenance will not make the cold weather go away, but will get you ready to hit the track on that first nice day. This is a great list & very thorough. Being a dirt racer in the south I'd just like to mention a couple of other things. Dirt racing a lot of cleaning to have a good performing kart. Be sure to check for any rust on nuts & bolts as this makes any work at track more difficult. You may also want to check tie rods to be sure they're easily adjustable. If they seem tight take them apart & clean well the when you reassemble use a little anti-seize inside tie rods. This will help keep them easy to turn when adjusting. Also check clutch for air gap in discs & make sure everything is tight.